VOICE 2012… This year it just got Bigger Better and Boundless ..I am so gratified and excited to be a part of camp again this year… Last year I was a counsellor and this year Field Coordinator.. It means more schools more girls and more awesome-ness ! VOICE is making an impact all over the city .. Changing life’s… Making a difference.. And being a part of VOICE is simply an Honour ..
Its so amazing how much you can reach out to so many tiny lives in such a little time ..
Day 1… All the girls were super excited to be a part of camp.. Not quite sure what is it all about.. When asked what they were expecting out of camp, the girls replied “to have lots of Masti (fun) and learn at the same time”. “The girls were very nervous the first day, as the days are passing by I can see them slowly trying to open up “, said Maria, Counsellor of Little Century High School. The girls had their Pre Camp written, oral and impact assessments taken on the first day .. The first two days was the orientation just to get the girls to know each other and the camp .. They did lots of fun activities and the counsellors got few girls to open up ..
“Camp is so amazing..I am really impressed with the camper’s creativity .. 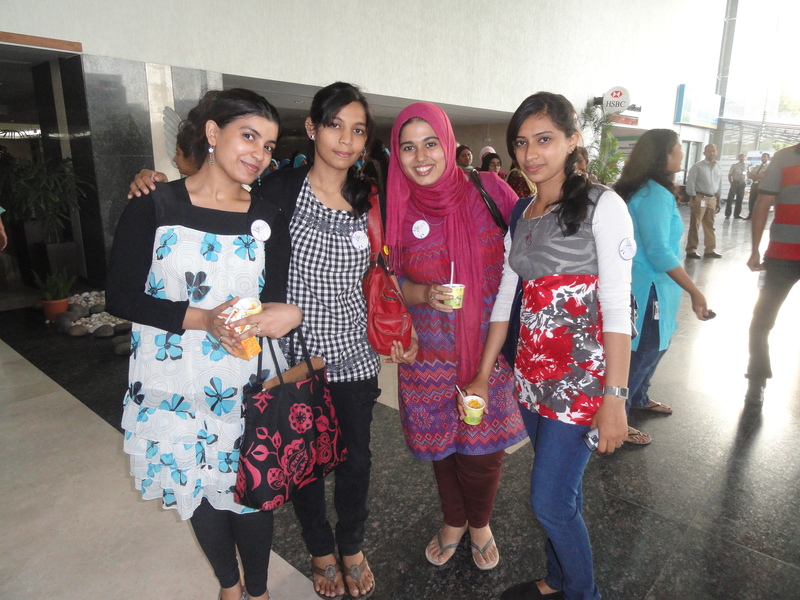 It is just the first step and I can already see the girls improving..”, said Neha , Counsellor of M A Ideal High School.. The girls were super excited to make their very own Girl Code.. they came up with rules which even we couldn’t think of .. for instance ‘having limitless fun is compulsory’ ..
From the third day the camp picked up with the curriculum.. this week was all about food and nutrition..so many fun facts and fun activities..
One activity which was the highlight of the week was the Food plate.. the girls had to divide their plates with all the nutrition they should get out of food .. the girls amazed us by showing tremendous amount of creativity..
all it takes is to know that you are not out there all alone.. there are so many more just like you .. the first step is always the difficult one! VOICE curriculum is well balanced with the right amount of fun, activities and learning .. managing to capture the girl’s interest throughout the day.. The week ended with a Bang! Saturday was family day, the girls had to cook a dish along with their mothers and talk about how they prepared it ..The potluck was a huge success .. the girls presented their dishes and spoke about nutrition values .. everyone was super excited to flaunt their self cooked dishes ..
With just one week down .. so much happening already .. looking forward to the next week .. double the dosage of fun and learning ..
VOICE .. Let’s make it Big!